Can we really expect to meet Jesus! "Sir, ...we would like to see Jesus" (John 12:21). Does that request sound familiar? Haven't you felt in the same way? 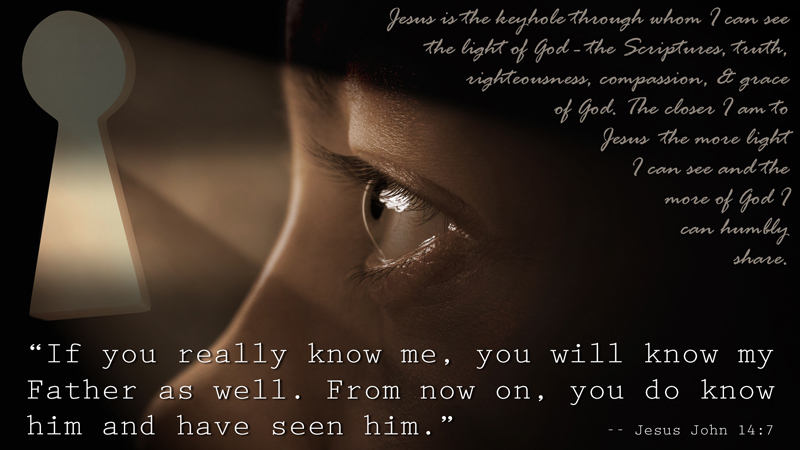 Somewhere in your deepest yearnings, don't you long to see Jesus, witness one of his miracles, and know in your heart of hearts that he is really present with you? I've heard variations of this request many times over my 38 years in ministry. This appeal comes in many different forms and in all sets of circumstances, but underneath the words was always that same longing, "I'd like to see Jesus!" If only I could see Jesus... if only I could know he's really here... then I think I might make it through this awful time. Where's the Lord in all of this? I really want to believe, but I need God to show me he is real. I have to know that he's really here and that I can truly know him before I can truly believe. Even Israel's great leader, Moses, reached a point where he bared his heart to God and said: "If your Presence does not go with us, do not send us from here" (Exodus 33:15). God assured Moses that he would go with him and help him lead the people of Israel (Exodus 33:12-17). Then Moses responded with shocking candor to the Almighty: "Now show me your glory" (Exodus 33:18). "Sir, ...we would like to see Jesus." Non-Jewish Jesus-seekers shared these words with Philip. Philip then took these seekers to Andrew. Then the two of them took these Gentiles to meet Jesus. God, I will be fine, I will survive this, but please, please dear Father, I really need to see Jesus! O God, please help me know that he is really here, and I am not alone as I face this! The sad reality is that many folks give up on meeting and experiencing Jesus. Some well-intentioned teachers have told us that we shouldn't expect to experience his presence. They scold us and tell us it is wrong for us to ask the Lord to show himself to us. They sometimes even accuse those who have such expectations as being overly emotional or wanting special revelation. "You have the Bible. You have faith. That should be enough for you!" But sometimes, it doesn't feel like enough. Our heart still cries out, "O God, I would like to see Jesus!" What sweet grace, what great assurance, to realize that Jesus promises his presence to us! Whoever has my commands and keeps them is the one who loves me. The one who loves me will be loved by my Father, and I too will love them and show myself to them (John 14:21). I don't know about you, but I feel pretty certain that the "Whoever..." in Jesus' promise means that this promise is for me. I am one of those "whoever" people! 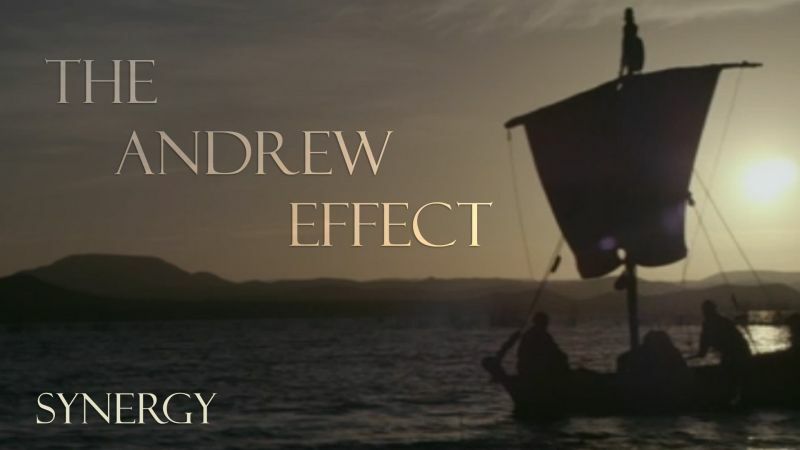 The wonderful thing about "The Andrew Effect" is that the four moves we see in Andrew's life as he connects people with Jesus are that they come with the promise that Jesus' presence can be real to us. As we embrace these four moves, Jesus promises to be "Immanuel... God with us" (Matthew 1:23). Notice how each of these four moves we find in Andrew's life in the gospel of John have a corresponding promise about Jesus' presence in Matthew's gospel. All this took place to fulfill what the Lord had said through the prophet: "The virgin will conceive and give birth to a son, and they will call him Immanuel" (which means "God with us") (Matthew 1:22-23). As we read Jesus' story and we make it our own, as we begin to obey his teaching and follow his example, Jesus presence can become real to us (John 14:15-23; John 17:1-3). For where two or three are gathered in my name, there am I among them (Matthew 18:20). Then the righteous will answer him, saying, 'Lord, when did we see you hungry and feed you, or thirsty and give you drink? And when did we see you a stranger and welcome you, or naked and clothe you? And when did we see you sick or in prison and visit you?' And the King will answer them, 'Truly, I say to you, as you did it to one of the least of these my brothers, you did it to me' (Matthew 25:37-40). And Jesus came and said to them, "All authority in heaven and on earth has been given to me. Go therefore and make disciples of all nations, baptizing them in the name of the Father and of the Son and of the Holy Spirit, teaching them to observe all that I have commanded you. And behold, I am with you always, to the end of the age" (Matthew 28:19-20). Jesus didn't want our Christianity to be a sterile and detached religious exercise devoid of his presence. He didn't return to the Father to abandon us and leave us to our best efforts to honor him. He promised to come to us and be with us and to reveal himself to us (John 14:15-26). We are promised that he will be with us and that nothing can separate us from his loving presence (Hebrews 13:5; Romans 8:32-39). The Lord's presence with us is more than a wishful delusion. 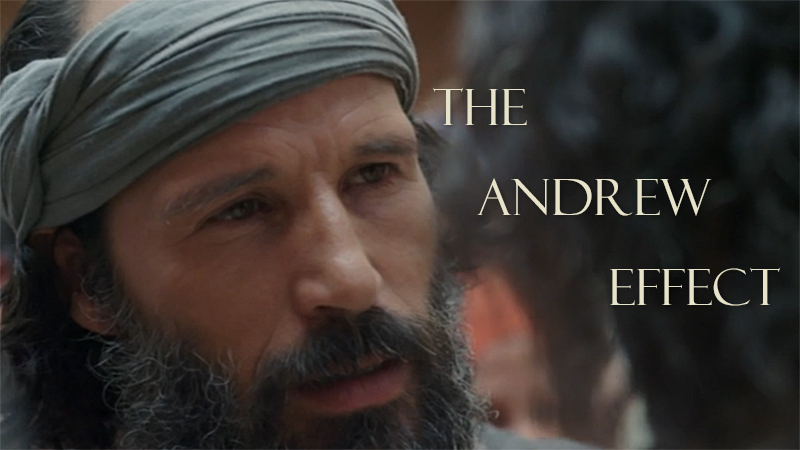 Jesus promises to meet us as we live out "The Andrew Effect" in our lives. The audacious words of Moses, the request of the non-Jewish seekers who wanted to meet Jesus, and the cry of our heart for Jesus to be real are not a ludicrous fantasy or a selfish delusion. The Lord invites us to share his desire to connect the love and grace of God with others. Jesus wants us to live out the principles of "The Andrew Effect" in our lives. As we do, he promises to meet us in our journey and to be real to us! The one who loves me will be loved by my Father, and I too will love them and show myself to them (John 14:23). "The Andrew Effect" is not just about becoming a disciple of Jesus who connects others with the Lord; it carries embedded in it the promises of Jesus to be present with us and to be real to us. So we join with those non-Jewish seekers of long ago and say with eager expectation, "[W]e would like to see Jesus." "Jesus Promises His Presence" by Phil Ware is licensed under a Creative Commons License. Heartlight encourages you to share this material with others in church bulletins, personal emails, and other non-commercial uses. Please see our Usage Guidelines for more information.